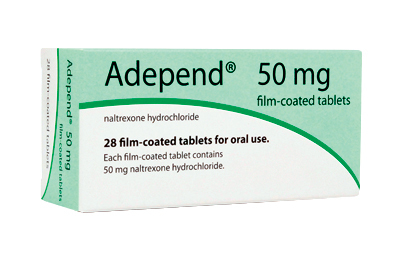 Adepend (naltrexone) is licensed for the maintenance of abstinence in alcohol dependence. Adepend Summary of Product Characteristics, December 2011. Rosner S et al. Cochrane Database Syst Rev 2010; 12: CD001867. Streeton C et al. Alcohol Alcohol 2001; 36: 544-52.